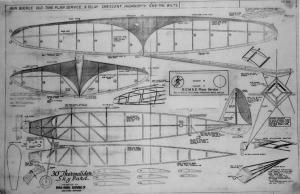 Burd Kit 1937 Wingspan 30"
Diamond fusilage. Parasol with eliptical wing. My personal favourite.